In his May 19 speech on the Middle East, President Obama, in a matter of minutes, abandoned Security Council Resolution 242, which for more than four decades had been the cornerstone of diplomacy in pursuit of Arab-Israeli peace; likewise abandoned the Roadmap, adopted in 2003 by the so-called Quartet (the U.S., UN, EU and Russia) as a blueprint for resolving, more specifically, the Israeli-Palestinian conflict; committed his Administration to pushing Israel back to indefensible borders; and essentially adopted as Administration policy Mahmoud Abbas’s variation on Arafat’s "Plan of Phases" for Israel’s destruction. The cumulative impact of Obama’s declarations is to chart a course for Israel comparable to that charted for Czechoslovakia in 1938 when Neville Chamberlain endorsed Hitler’s demands of that country. "We believe," declared the President, in just one of his statements undermining Israel, "the borders of Israel and Palestine should be based on the 1967 lines." Resolution 242, adopted unanimously by the Security Council a few months after the 1967 war, calls for establishment between Israel and its neighbors of "secure and recognized boundaries." The resolution does not call for Israel to return to the pre-war armistice lines, and the resolution's authors asserted that this omission was intentional, that those lines were an invitation to further aggression against Israel and the future borders ought to be elsewhere. "It would have been wrong to demand that Israel return to its positions of June 4, 1967, because those positions were undesirable and artificial. After all, they were just the places where the soldiers of each side happened to be on the day the fighting stopped in 1948. They were just armistice lines. That's why we didn't demand that the Israelis return to them, and I think we were right not to..."
Lyndon Johnson, then President, stated that Israel's retreat to its former lines would be "not a prescription for peace but for renewed hostilities"; and he advocated new "recognized boundaries" that would provide "security against terror, destruction, and war." Subsequent presidents have endorsed Israel’s need for "defensible borders," and Prime Minister Netanyahu’s comments at the White House on May 20, to the effect that Israel is indefensible within the pre-1967 armistice lines and cannot return to those lines, are more consistent with traditional American policy than is Obama’s new stance. In addition, Congress has likewise backed Israel’s right to defensible borders. For example, an April, 2004, letter from the United States to Israel stipulating that the nation was not expected to return to the pre-1967 lines but, rather, was entitled to "defensible borders," had the endorsement of a bipartisan consensus in both houses of Congress. Israel’s vulnerability within the pre-1967 lines goes beyond its being reduced to a nine-mile width at its center, as mentioned by Netanyahu. Those boundaries also mean forces on the other side would control the hills that totally dominate Israel’s coastal plain, home to 70% of its people. "The borders of the State of Israel, during the permanent solution, will be beyond the lines which existed before the Six Day War. We will not return to the 4 June 1967lines. Obama, in promoting Israel’s retreat to the pre-1967 lines, did throw in the sop of a reference to "mutual agreed [territorial] swaps." The meaninglessness of this with regard to Israel’s self-defense is illustrated by Obama’s reference in the preceding sentence to "permanent Palestinian borders with Israel, Jordan, and Egypt..." Here he dismisses the necessity of Israel retaining control of the Jordan Valley, without which hostile forces east of the Jordan would have easy access - whether for invasion or for smuggling arms - to those heights that, again, render the vast majority of Israelis ready prey for attack, both by regular forces and by terrorist rockets and mortars such as those that currently target Israeli communities near Gaza. Obama reinforced this element of his undermining Israel’s self-defense by calling as well for "the full and phased withdrawal of Israeli military forces," rejecting even some limited Israeli military presence in the Jordan Valley. On the territorial front, as if this were not enough of an assault on Israel, Obama threw in that the Palestinians have the right to - in keeping with Palestinian demands - a "contiguous" state. But there can be no contiguity between Gaza and the West Bank without splitting Israel in two, and the President had nothing to say about Israeli contiguity. Beyond demanding suicidal territorial concessions from Israel, the President then insists that these concessions, and the accompanying "security arrangements" with the "non-militarized [Palestinian] state" - a largely meaningless, unenforceable flourish, as the Oslo experience dramatically demonstrated - should be spelled out in detail before two other key issues, "the future of Jerusalem" and "the fate of Palestinian refugees" are addressed. But, of course, the President has already defined the Administration’s stand on the future of Jerusalem in his call for Israel’s return to the pre-1967 armistice lines. And Israel is to surrender its essential bargaining chip, the extent of its territorial concessions, before the Palestinian demand for the so-called "right of return," the plan to flood and overwhelm Israel with descendants of refugees from the 1947-48 war, is even addressed. Moreover, there is nothing in Obama’s speech calling for the Palestinians to give up this path to Israel’s dissolution. The insistence on both pushing Israel back to the pre-1967 boundaries and establishing the territorial dimension of an agreement before other issues are addressed, as well as the President's refraining from taking issue with the "right of return," reflect his embracing demands made by the Palestinians while ignoring consideration of the untenable situation in which they place Israel. The president's agenda also entails an abandonment of the Roadmap. For example, in the Roadmap territorial issues only begin to be addressed in Phase II, and then only in terms of creating provisional borders and testing Palestinian intent and preparedness for statehood before there are any steps toward definition of permanent borders. On the other hand, in Phase I, indeed at its very outset, the "Palestinian leadership issues unequivocal statement reiterating Israel’s right to exist in peace and security and calling for an immediate and unconditional ceasefire to end armed activity and all acts of violence against Israelis anywhere. All official Palestinian institutions end incitement against Israel." Obama does acknowledge as a problem that Israelis live "with the fear that their children could be blown up on a bus or by rockets fired at their homes, as well as the pain of knowing that other children in the region are taught to hate them." But he has little further to say about Palestinian terror - beyond the vague references to security arrangements - and nothing more to say about incitement. That Mahmoud Abbas’s Palestinian Authority uses its media, mosques and schools to indoctrinate Palestinians into believing that Jews have no historical or legal connection to the land but are mere usurpers whose presence must be extirpated; that those who massacre Israelis are heroes who must be emulated - a line of hate-indoctrination upon which Abbas himself seems particularly fond of elaborating; and that it is the obligation of Palestinian children to dedicate themselves to Israel’s destruction; are not, to our President, particularly troubling issues warranting immediate and focused attention. With regard to Hamas, Obama does ask rhetorically, "How can one negotiate with a party unwilling to recognize your right to exist?" But Hamas is not simply a "rejectionist party" or a "terrorist entity" as designated by the United States. It is an explicitly genocidal organization, declaring in its charter its dedication to the murder of all Jews; and its leaders continually assert their fealty to their charter and their undying commitment to its program. Hamas’s incitement to the eradication of the Jews is a violation of Article 3 of the 1948 UN genocide convention; a violation which the contracting parties, including the United States, have undertaken to punish. But some leaders of Hamas have also indicated that, to advance their ultimate goal, they are willing to pursue a temporary ceasefire and go along with negotiations aimed at getting Israel to withdraw to the pre-1967 lines. And President Obama has signaled that if they adopt and maintain this mask for some while, desisting from trumpeting their ultimate intent, he is prepared to ignore their genocidal agenda and join with them in pushing for an indefensible Israel. Of course, Fatah is now forming a national unity government with Hamas, which, in addition to Abbas and the PA’s anti-Israel and anti-Jewish incitement, would presumably raise further questions about the PA’s reliability as a peace partner. So, too, one might imagine, would its ongoing promotion of the "Plan of Phases" for Israel’s destruction. But President Obama’s program, while violating Resolution 242 and the Roadmap, actually adheres to the agenda put forth by Arafat and Abbas to advance the "Plan of Phases." At the time of the initiation of the Oslo accords, on the evening of the famous signing and handshake on the White House lawn in September, 1993, Yasir Arafat appeared on Jordanian television and explained to his constituency and wider Arab audience that they should understand Oslo in terms of the Plan of Phases, formulated in 1974. The Plan called for the Palestine Liberation Organization to acquire whatever territory it could by negotiations, then use that land as a base from which it would pursue its ultimate objective of Israel's destruction. 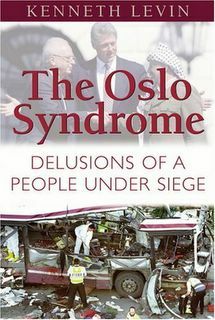 Arafat repeated this understanding of Oslo many times thereafter. Consistent with this strategy, Arafat was more than willing to take control of any territory ceded by Israel via the Oslo process while making in return commitments - particularly regarding ending terror and incitement - on which he consistently reneged and avoiding signing onto any limitation of future Palestinian territorial claims. When, under pressure from President Clinton, he reluctantly entered "final status" talks with Clinton and Prime Minister Ehud Barak at Camp David in July 2000, Arafat rejected all the concessions offered by Barak and Clinton and refused to put forward counter-proposals. He was unwilling to accede to any accord, whatever the territorial and other concessions made by Israel, because an "end-of-conflict" agreement was now expected of him in return and he was not interested in ending the conflict and foregoing future, additional, Palestinian demands. Around the same time, Arafat spoke of declaring a state unilaterally, as a way, again, of establishing "Palestine" without signing away future claims against Israel. Clinton made it clear the U.S. would not support such a unilateral move and, not least because of U.S. pressure, European states conveyed the same message. Abbas, a longtime associate of Arafat and member of the Fatah and PLO leadership, has largely followed Arafat's course. He has not actively pursued a terror campaign - and he was critical of the terror war launched by Arafat after Camp David - but he made clear at the time, and in statements since then, that his opposition to the manner in which Arafat used terror was purely tactical. He felt it did not serve to advance the Palestinians' ultimate goals. Abbas has also made clear that those goals, for him, are the same as for Arafat. He has refused to recognize Israel's legitimacy as the Jewish state, the expression of the right of national self-determination accorded other peoples, even though the original UN resolution on the division of Mandate Palestine west of the Jordan called for the establishment of a Jewish and an Arab state. He has refused to consider any compromise regarding Palestinian insistence on the "right of return." And he has given no indication of any willingness to agree to a final status accord. Abbas has stated he intends to seek in the coming fall United Nations recognition of a Palestinian state demarcated by the pre-1967 lines, and he has already requested and obtained such recognition from various nations. This strategy once more reflects Arafat's policy of seeking to gain a state in the territories without conceding future claims against Israel; that is, without foreswearing future phases in the Plan of Phases. But Obama’s program, laid out on May 19, likewise promises Abbas a state, indeed a state along the pre-1967 lines, without obliging him to give up insistence on the "right of return" or to sign an "end of conflict" agreement and foreswear future, additional claims against Israel. Apologists for Obama point to his statements in the speech advising the Palestinians against turning away from negotiations with Israel and focusing instead on winning backing for their demands at the United Nations and elsewhere. (Obama actually implies in the speech that it is Israel’s continuing building in the "settlements" that drove the Palestinians to abandon negotiations. But Israel has not deviated from limits on building agreed upon with previous administrations, and negotiations with both Arafat and Abbas had proceeded without a total freeze. In addition, when Netanyahu did impose a ten-month freeze, Abbas waited until close to its expiration before resuming talks and then refused to continue them unless the freeze was extended. He clearly did not want to maintain negotiations and used Obama’s pressing for a total freeze as an excuse to refuse talks.) These apologists imply that the President had to move toward Palestinian positions in order to entice Abbas to follow his advice and refrain from actions at the UN that would hurt Israel. But any UN action would hurt Israel only to the extent that Obama allowed it to do so. No General Assembly vote trumps Security Council Resolutions 242 and 338 (passed near the end of the 1973 Yom Kippur War and calling both for implementation of 242 and for negotiations between the parties to advance the peace envisioned in 242). Obama could respond to any General Assembly move by emphasizing the United States looks upon the provisions of the two Security Council resolutions as the basis of movement towards resolution of the conflict and rejects any effort to circumvent their provisions. He could also pressure our allies, including in Europe, to take a similar stance. In the Security Council, he could, of course, respond to any effort to recognize a Palestinian state at this point by using our veto power, and he indicated in his speech that he would do so. But he could also, again, pressure our allies in the Security Council to do the same. He could, as well, exert similar pressure on the Europeans against any move by them to grant recognition on a bilateral basis of a Palestinian state with borders defined by the pre-1967 lines. As noted, President Clinton effectively dissuaded the Europeans from responding positively when Arafat, after Camp David, sought support for unilateral declaration of a state. But President Obama shows no signs of sharing Clinton’s determination to prevent the Palestinian leadership from advancing their quest for statehood while they reject negotiated compromises and persist in pursuing Israel’s dissolution and absorption of its lands into a Palestinian state. While Israel and its friends and supporters were so troubled by Obama’s dismissal of Israel’s need for, and right to, defensible borders, Obama’s speech was greeted with much enthusiasm by European states, led by the Munich Three - England, France, and Germany - who had colluded at Munich in the dissolution of Czechoslavakia in 1938. The Munich Three have in recent months been calling for precisely what Obama has now delivered: embrace of Palestinian demands for statehood based on the pre-1967 lines. They, and many other European states, have, in fact, long indicated their preparedness to sacrifice Israel’s well-being and very existence in the service of advancing their Arab oil interests and appeasing the wider Arab and Muslim world, particularly the Islamist elements, as well as their own domestic, significantly radicalized, Muslim constituencies. Of course, they justify their anti-Israel policies by characterizing all the territory beyond the pre-1967 lines as occupied Palestinian land, with Israel as the unconscionable occupier, whereas, in fact, these areas have never been part of a Palestinian entity and, under Resolutions 242 and 338, they are - except for the areas already ceded by Israel under Oslo - disputed lands whose ultimate disposition is to be determined by negotiations. Obama, too, has demonstrated, and openly acknowledged, his eagerness to appease Arab and broader Muslim sentiment, particularly radical sentiment. (He has not been as forthcoming to such Muslim populations as the people of Darfur or those seeking freedom from tyranny in Iran and Syria, and has, in fact, cut U.S. funding to pro-democracy groups in Arab and other Muslim nations.) He showed once more in his recent speech that he, too, is prepared to sacrifice Israel’s interests to do so. Czechoslovakia in 1938 was also a small nation and a rare democracy in its region, and was perceived by Britain and France as standing in the way of peace with a rising hostile, militant power. So Britain and France colluded with Germany in stripping the nation of the Sudetenland, mountainous, fortifiable territory necessary for the defense of the rest of the country. Now it is Israel - according to the President, and the chorus of like-minded European leaders, an obstacle to improved relations with those who wish the West ill - that would be stripped of the ability to defend itself. Obama does aver that "our commitment to Israel’s security is unshakeable." But Britain and France also offered solemn promises that, should Germany violate the Munich agreement and move against what remained of Czechoslovakia, they would come to the rump nation’s defense. Yet when, less than six months after Munich, Hitler conquered the rest of Czechoslovakia, Britain and France did nothing. When the likely Hamas-dominated Palestinian government is shelling Israeli coastal towns; and making additional territorial demands of Israel, such as annexing areas with significant Arab populations; and pursuing an intensified terror campaign in Israeli cities to which it will now have readier access; does anyone truly expect Obama to live up to his pledges of defending Israel? Indeed, no such defense will be possible, even for a president more predisposed to providing it. As not only Obama’s recent speech but the tenor of his diplomacy regarding Israel since the beginning of his Administration clearly indicates, the only real question is whether Israel is prepared to play Czechoslovakia to Obama’s Chamberlain. Current indications are that it is not. But this is of only limited comfort in the face of Obama policies that, at best, are likely to lead to more challenging of an Israel seen as vulnerable in the face of diminishing support from an American administration that is in any case perceived as weak; more challenging of Israel in the form of more violence, more war, and more carnage.